"The greatest collaborations are often built upon two unique and different personalities combining to create something beyond their individual realms. 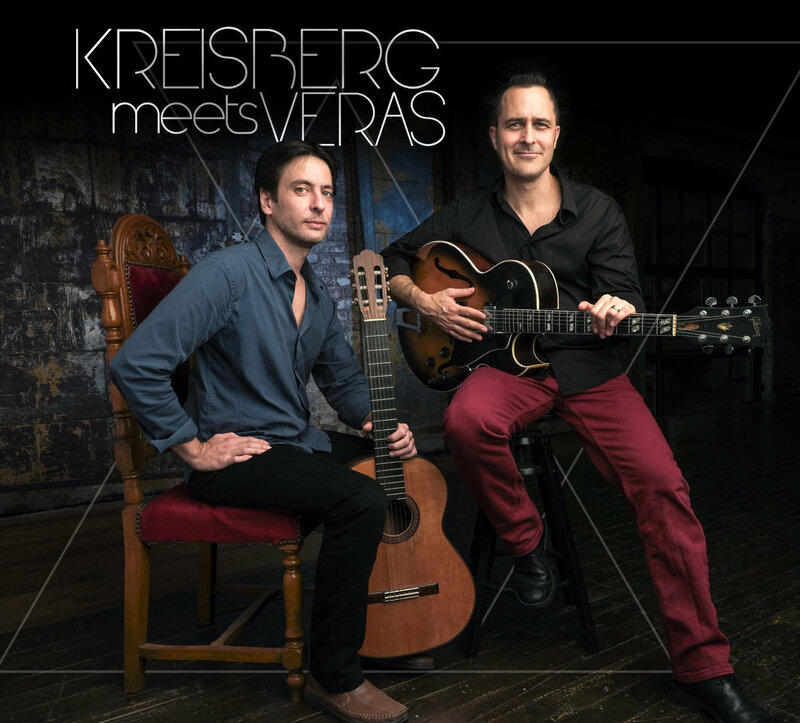 Thus is the case with the new “KREISBERG meets VERAS” project, which promises to be one of the most exciting guitar duos in the jazz and guitar worlds. Jonathan Kreisberg and Nelson Veras are both highly acclaimed artists on their instruments, and they have combined forces to create a program of original works and rarely played classics which welcome the listener to experience the start of a beautiful musical friendship."